After almost 11 months of using Gorgeous Glow Facial Wash from Mama Mio (I loved it so much I stocked up) I finally ran out and decided I obviously no longer needed a skincare product made especially for pregnant women (my baby is almost 8 weeks!) But I did want to stick with a mild, natural cleanser that doesn’t contain any harmful ingredients. The week between running out of Mama Mio and getting these I got a little desperate and used regular liquid soap that ended up drying my skin out, so I ran out to the grocery store picked up a random facial cleanser, my skin broke out, looked terrible & was really red. Which yet again, further reaffirms why natural/organic skincare is the best, safest way to go! 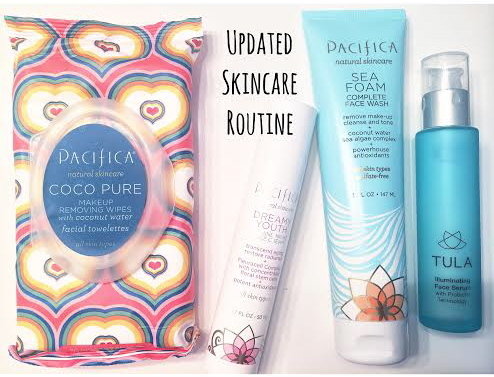 Pacifica / Sea Foam Complete Face Wash – Tons & tons of 5 star reviews on their site, $11 price tag, it was totally worth trying. To sum it up: smells great, will take off ALL of your makeup and most importantly leaves your skin clean, smooth & refreshed. I’m SO glad that I have this and would highly recommend it to anyone! Pacifica / Dreamy Youth Day & Night Face Cream – Okay, so clearly I love Pacifica. Every product I’ve tried offers results at a really affordable price, what’s not to love? This face cream is an all natural anti-aging moisturizer, is really light, and improves the overall appearance of skin. Pacifica only uses natural, safe ingredients in all of their products, they are 100% cruelty free & vegan. TULA / Illuminating Face Serum – I actually came across this while reading another blog and than did a little research and read a bunch of reviews that raved about this line so I definitely wanted to give it a try. 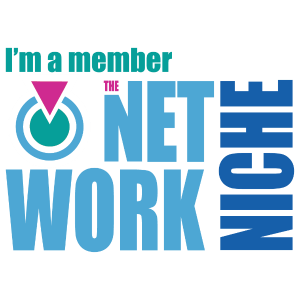 What was really interesting about this is that the company was started by a doctor (Dr. Roshini Raj) who recognized the need for women to acheive balance in their lives so she created a healthy-living brand using patented probiotic technology. The face serum is designed to help you radiate from the inside-out. The combination of Vitamins A, C, E, fruit & vegetable extracts, Omega 3 and 6 fatty acids (to name a few) help even skin tone and create a youthful glow. I use this every night before I go to bed, a little product goes a long way. It’s gentle, light weight and leaves my skin smooth & glowing.